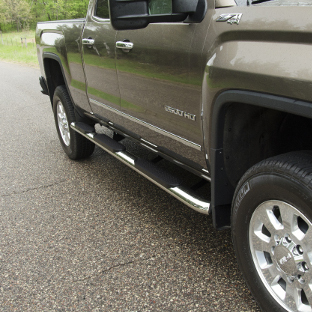 Whether you're building the ultimate custom ride or just need some added functionality, ARIES 4" oval side bars offer elevated style and safe, comfortable footing for your truck or SUV. 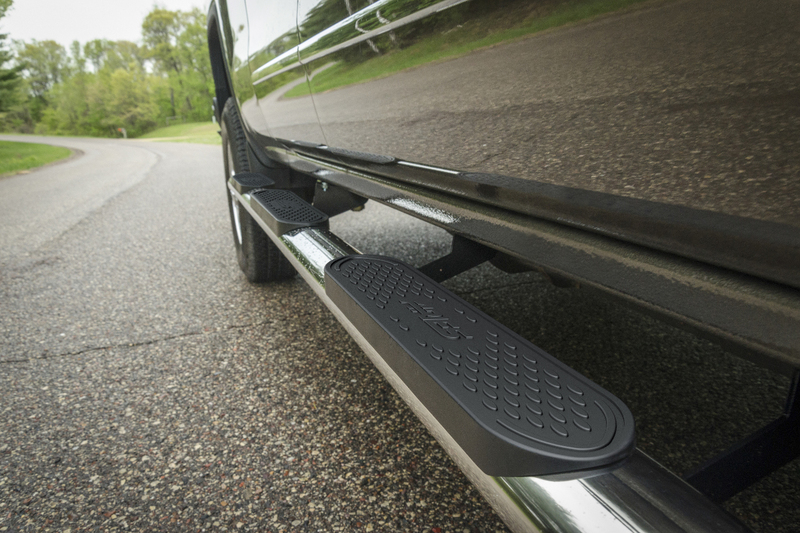 Their sleek, elliptical design and vehicle-specific contours complement the look of your vehicle, while the raised step pads provide excellent traction, even in wet conditions. ARIES 4" oval side bars are available in two finish options, and each set installs with no drilling required. 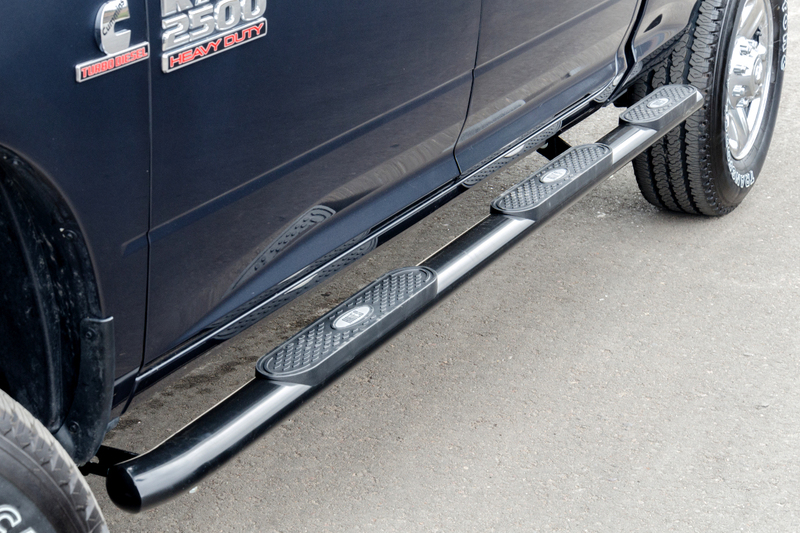 We also offer 4" oval wheel-to-wheel steps for enhanced functionality on your pickup truck. The 20° bends and seamlessly blended end caps are what truly set ARIES 4" oval side bars apart. 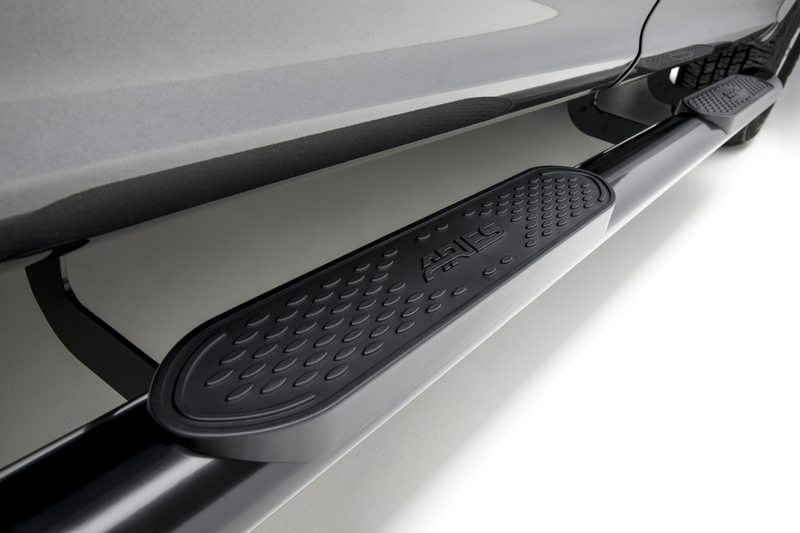 The sleek contours and elliptical profile give the steps and your vehicle an elevated touch of style. All ARIES 4" oval side bars, including our wheel-to-wheel steps, mount quickly and securely using factory holes. 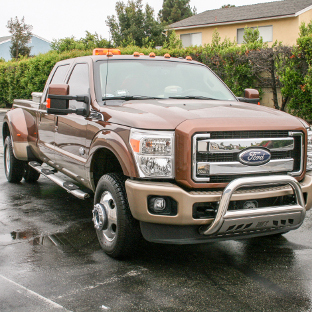 This eliminates drilling and tedious modifications from the installation process. No other side bars or nerf bars on the market match the elevated style of ARIES 4" oval side bars. Instead of plastic end caps, these truck side bars have a blended design. The end caps are welded into place and are seamlessly integrated with the elliptical tubes to create a truly elegant look. ARIES 4" oval side bars also have unique 20° bends on the ends, contouring to the body of the vehicle for a subtle, sleek finishing touch. 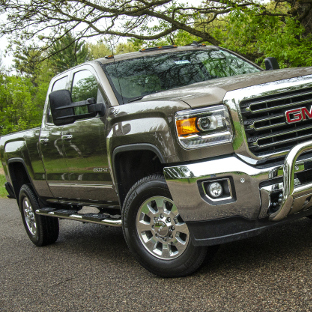 Note: Certain models have straight ends to better complement the vehicle's design. 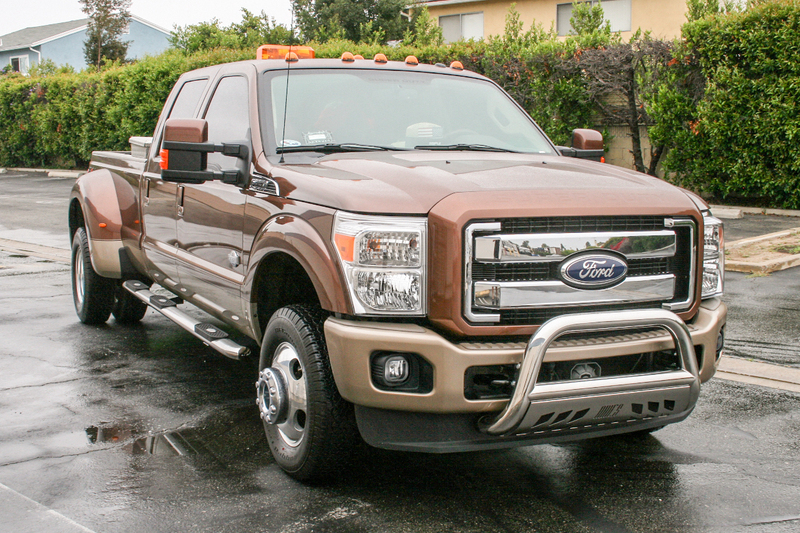 ARIES 4" oval side bars are not only engineered for adding a sleek look to your truck or SUV. 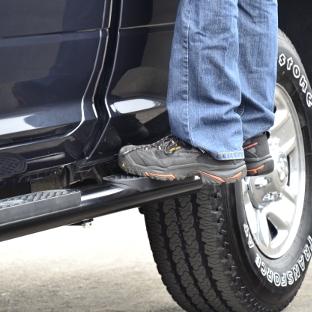 They also offer safe, comfortable footing. 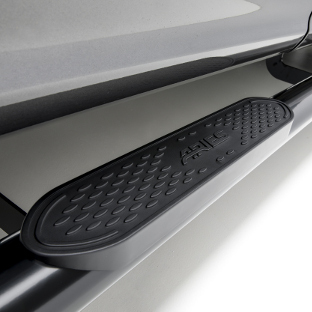 The step pads of these stylish side bars are raised off the tubes, providing a full 4" width and a completely flat surface for comfortable entry and exit. 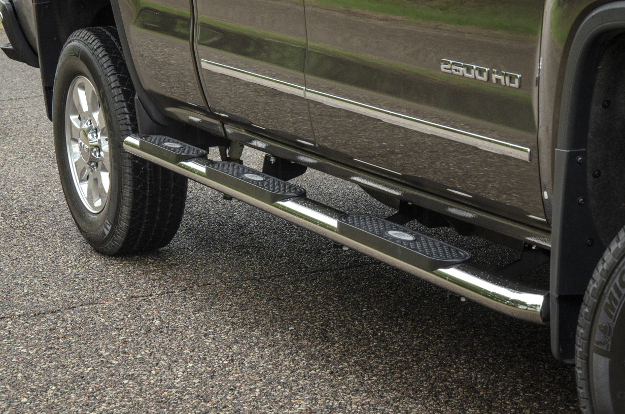 The tough poly step pads are also equipped with a non-skid treads, offering enhanced traction, rain or shine. 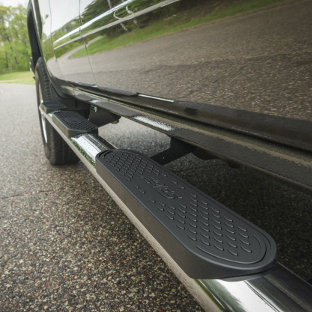 Each step pad is custom-positioned to match the door layout of your vehicle, placing a safe, convenient step right where you need it. 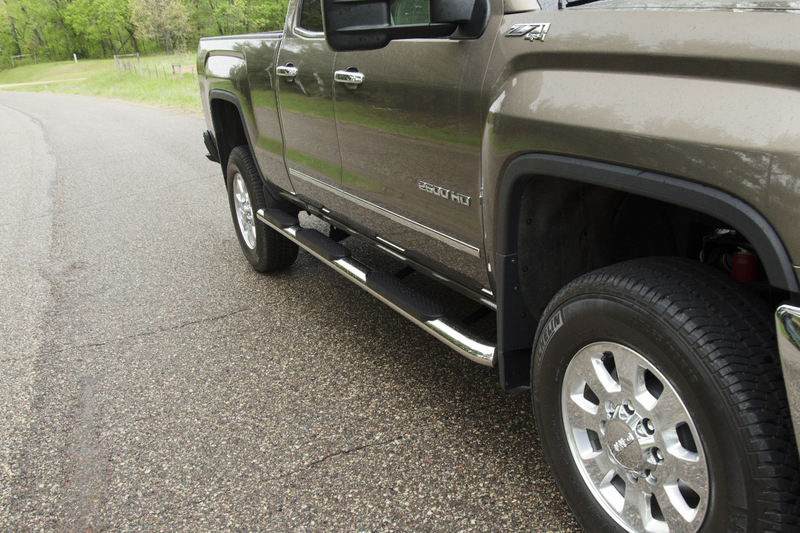 ARIES 4" oval side bars are available in a wheel-to-wheel option for select pickup truck models. 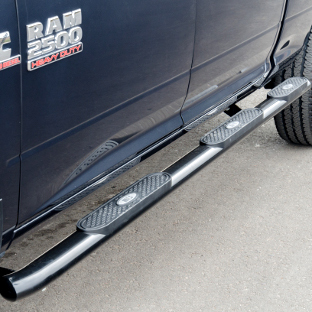 Wheel-to-wheel steps provide an additional step pad toward the rear of the side bars, giving you a convenient, non-skid step for better access to the truck bed. 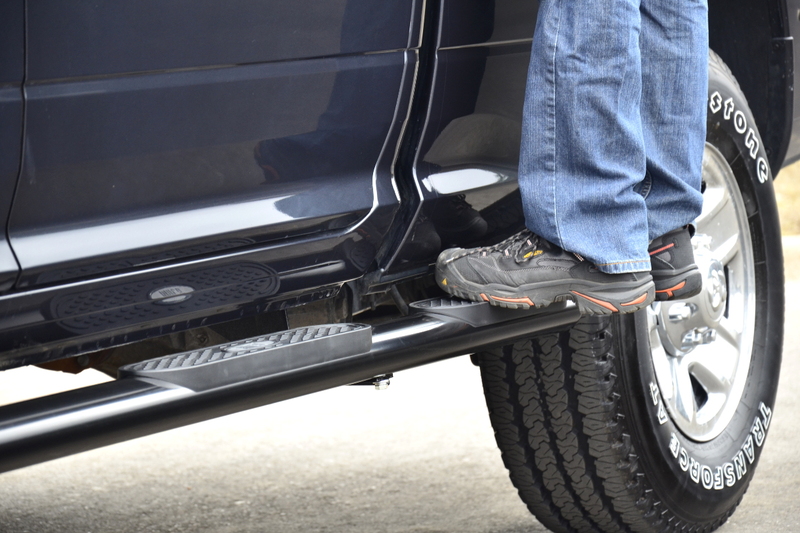 4" oval wheel-to-wheel steps are ideal for reaching into the truck bed for cargo, a truck tool box or a 5th wheel hitch. 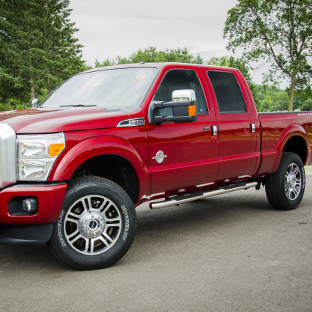 We offer them for select applications, including some regular cab pickup trucks. 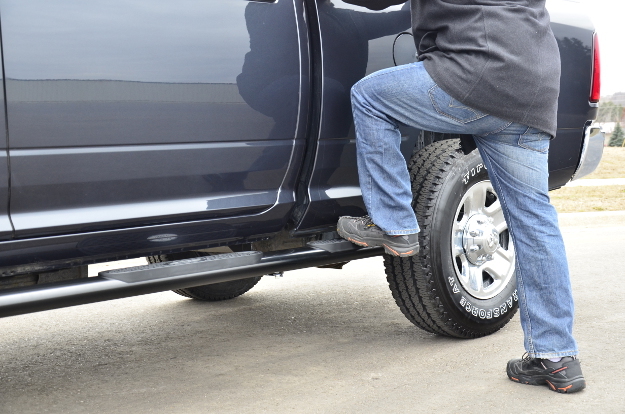 Perfectly integrating with your truck or SUV, every set of ARIES 4" oval side bars is made vehicle-specific. 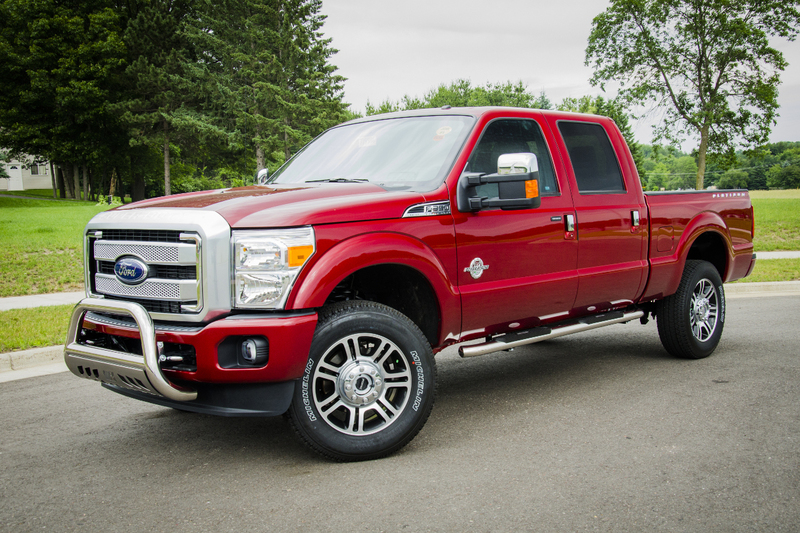 Furthermore, we offer two durable finish options to let you select the look that best works for your truck's existing style. Our stainless steel side bars are made from highly rust-resistant 304 stainless steel. They're designed to withstand the elements, season after season, and they come with a mirror-like polished finish for an eye-catching shine. Our black steel side bars are constructed from carbon steel, and they provide a high-strength option. They’re covered in a semi-gloss black powder coat finish for maximum corrosion resistance. For solid strength and rigidity, ARIES 4" oval side bars are constructed with heavy-wall tubing. This includes both our steel side bars and stainless steel side bars. The oval tubes are shaped with a strong, sleek elliptical profile and are finished off with the signature 20° bends and blended end caps. The welded end caps offer the additional benefit of completely sealing off the interior of the tubes from moisture and other corrosive elements. 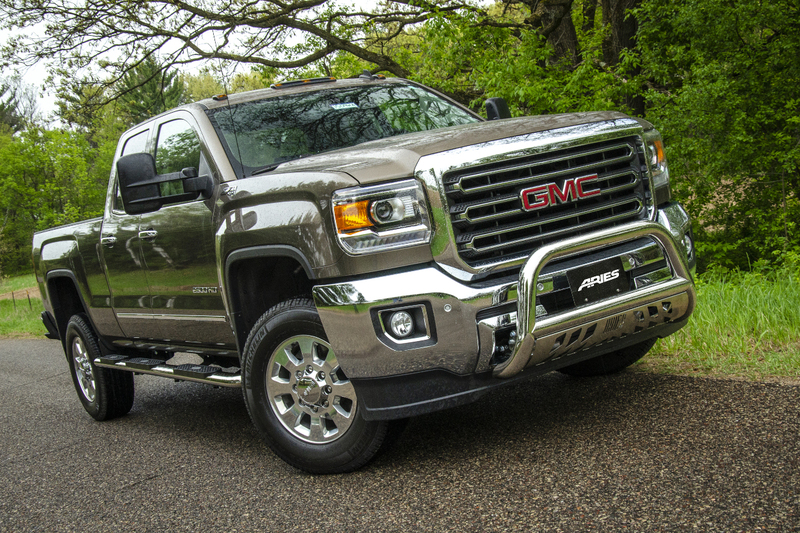 A truly seamless, integrated, OE look would not be possible without a vehicle-specific design. 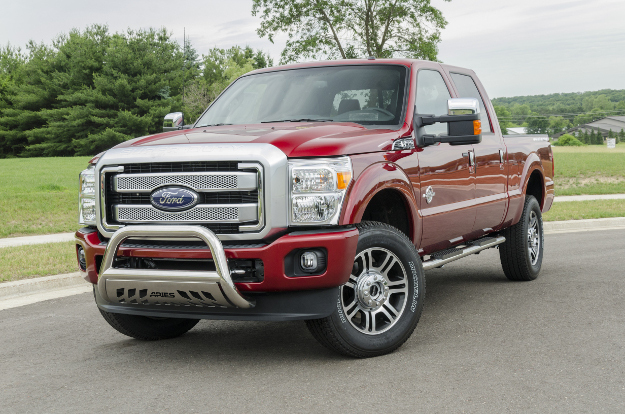 That is why each ARIES 4" oval side bar is made for a unique truck or SUV application. 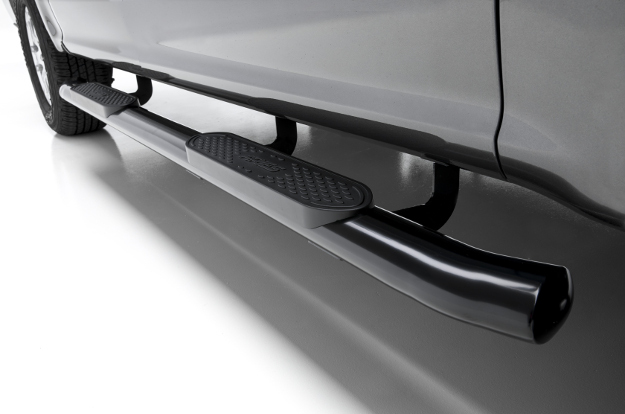 The side bars and brackets attach using pre-existing mounting points on the vehicle, completely eliminating the need for drilling in the installation. ARIES 4" oval side bars mount with heavy-duty steel brackets for a rigid step up, and the brackets are shielded in a durable black powder coat finish for long-lasting corrosion resistance.